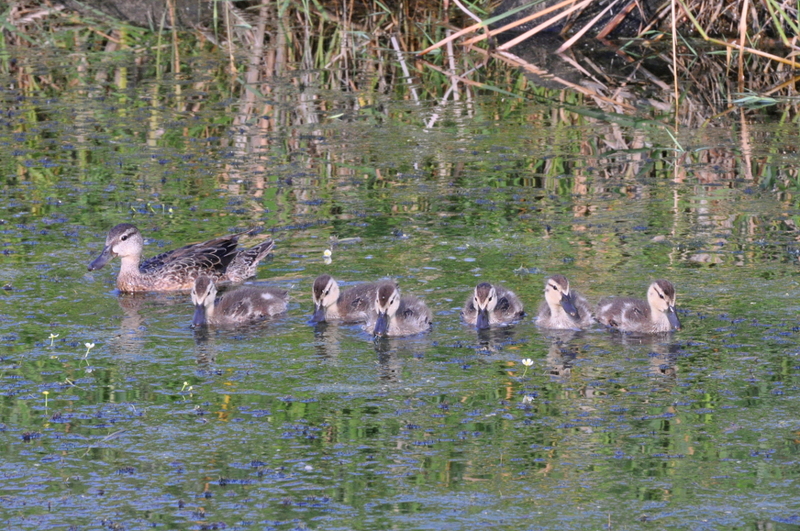 Got up about seven this morning and got ducked when I went out to get the newspapers. On the north end of Brookings there is a very nice roadside rest. 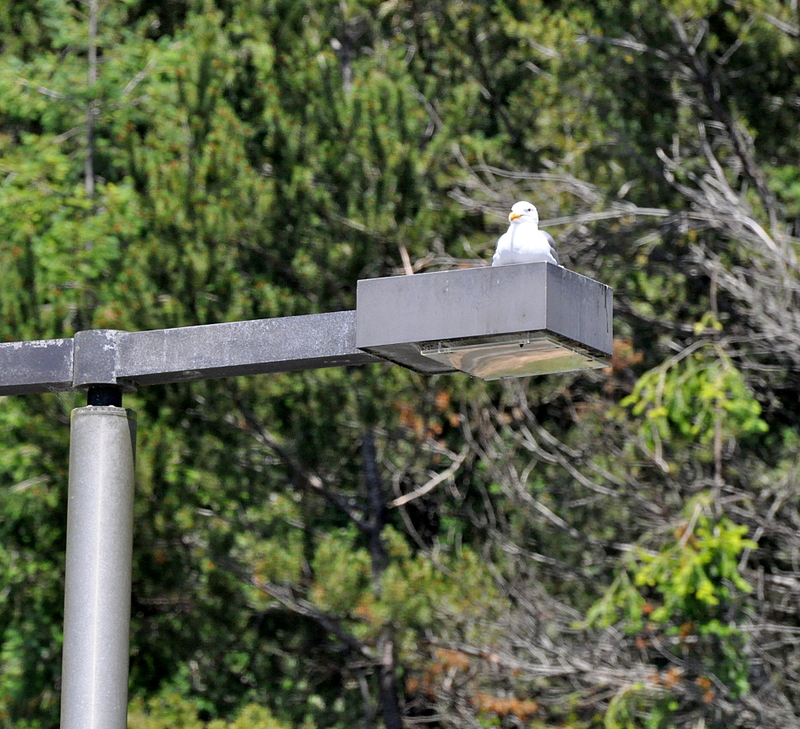 This seagull acts as though she is the caretaker. 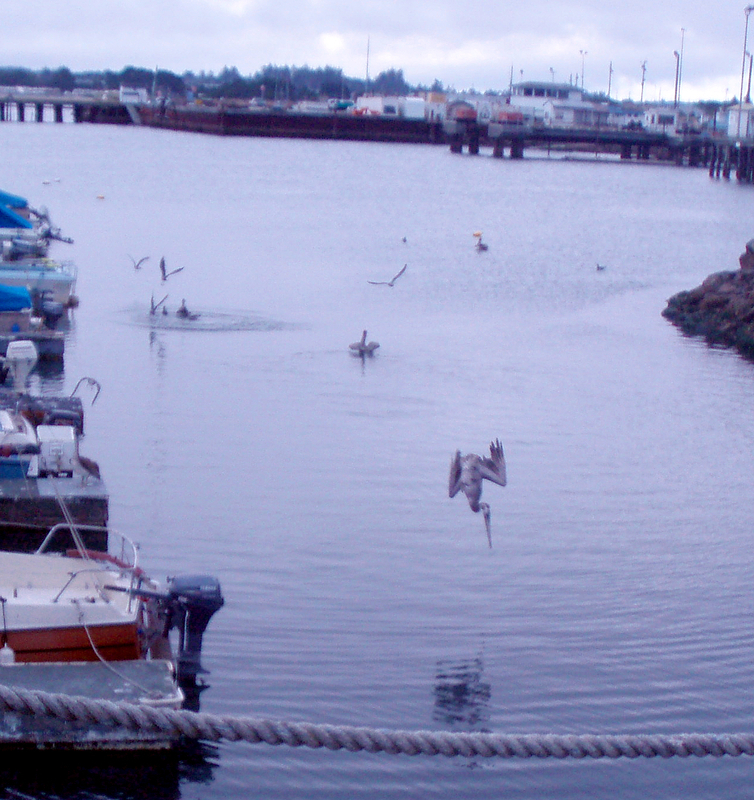 Pelican diving for an early dinner. seals appear to have left plenty of fish for the pelicans and other birds. I took these pictures in northern Minnesota at the Warroad Estates Golf Course. The “pond” separates the golf course from the homes lining the 12th hole, a rather long dog-leg right. 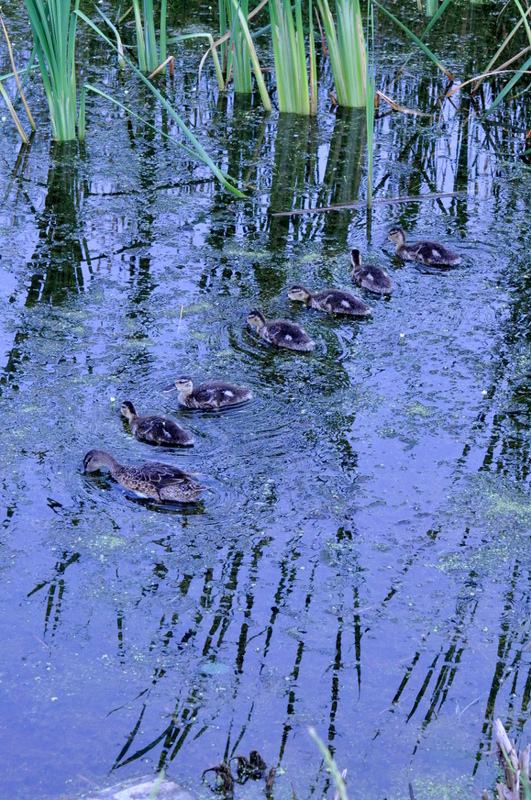 Ducks all in a row – A. 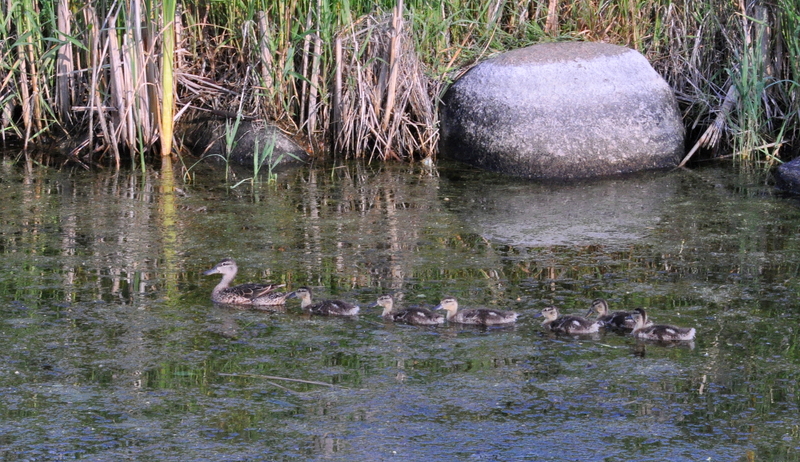 Ducks all in a row – B. 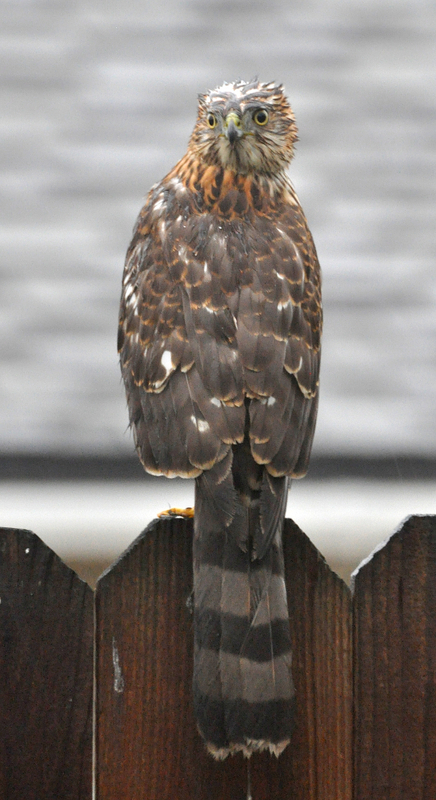 Ducks all in a row – C.
Backyard Hawk with head turned 180°. 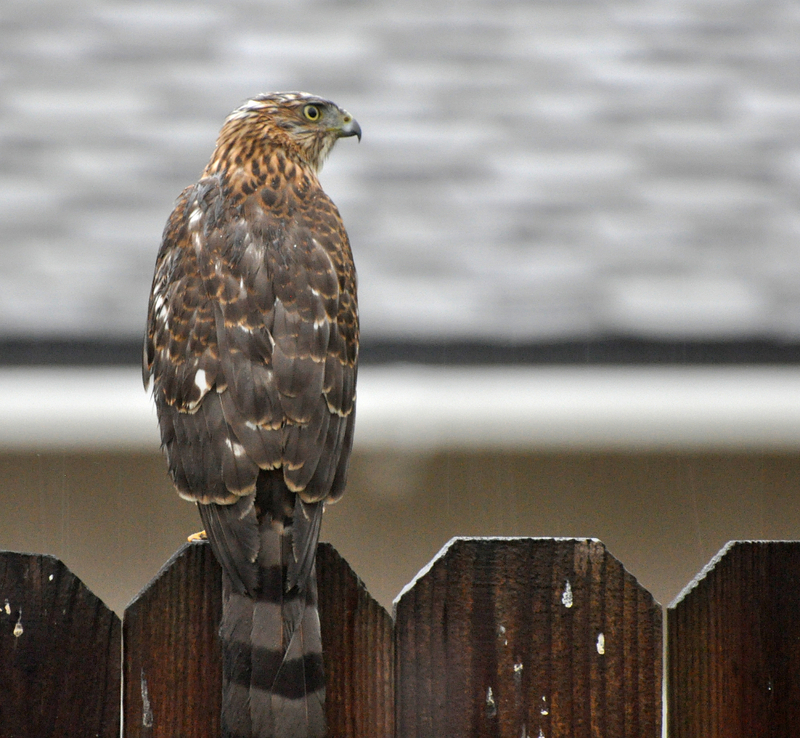 seen him hunt small birds in the rose bushes and once saw him take a small bird to a neighbor’s chimney and eat his lunch there.